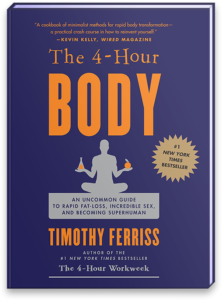 Tim Ferriss is an exceptional author and entrepreneur, that changed the lives of many of his readers and fans. Read summaries and reviews of his books to learn what other topics he discusses might be of interest to you. Browse our collection of 4-Hour Body ready recipes and learn how to prepare dishes in a simple and effective way, so you do not have to think about cooking while you are getting in shape.